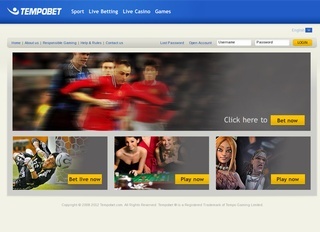 Tempobet is a Turkish bookmaker established in 2008. The company is relatively young compared to many other sports betting enterprises from the industry. But despite its early involvement in the gambling branch, Tempobet managed to acquire a significant audience for just seven years. The owner of Tempobet is Tempo Gaming Ltd with residence in the UK and more specifically on 145-147 St. John Street, London EC1V 4PY, United Kingdom. The online bookmaker is operational under the jurisdiction of Malta, and it’s strongly regulated by the responsible institution. It’s not a surprise that residents of the USA are not allowed to play with Tempobet. 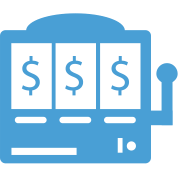 However, the online bookie is popular among many European countries and serves to many customers, especially in Eastern Europe. Of course, the online betting provider has a huge market share in Turkey and the surrounding countries. Clients who look for a long term relationship with this bookmaker can rest assured that Tempobet is financially stable. The website of the company looks simple and easy to navigate. The company is now part of the top 100 companies in the business around the world thanks to the good service and variety of sports to bet and other games such as Casino, Lottery etc. With the reputation of a traditional bookmaker, Tempobet is surely a great choice for dedicated gamblers, professional players and even amateurs. The sportsbook offering of the bookmaker supports 19 sports. The most popular ones, such as football, basketball and hockey are presented and constantly updated. Apart of the sports offering, there are chess and some special events handled on a regular basis. There is live betting feature supported for the larger percent of the sportsbook. Unfortunately for many clients of Tempobet, live streaming is not available at this time. We have some bad news for those who like to gamble on the go and prefer to wager via their mobile devices. Tempobet doesn’t offer a proper experience for mobile users, and their only option is betting within the website. Also, the wide selection of sports included in the offering, the bookmakers also supports casino games (live and standard), lottery and backgammon. These options guarantee the gamblers they can be part of great tournaments with fantastic jackpots and experience the real casino feel while standing in front of their computer. One of the finest feature, which become available recently, is the option to trade stocks on the financial markets. There is also a virtual league for those who want a different kind of gambling experience. With all these amazing offerings, Tempobet becomes a great place for any player to have some fun. The odds provided by the Turkish sports betting giant are very pleasant and perfectly suitable for a long term gambling investment. Players can choose between the three display formats – UK, EU and US. The overall betting margin is set to 3.3%, and the payout is also fairly decent. When it comes to limitations, the minimum amount required for a wager is €0.5. The maximum boundary is different for each sport. Winnings also have a fixed limit of €100 000 per day. The registered users can also benefit from a detailed betting history with all their action well recorded and stored for later use. In the world of online sports betting, the security is probably one of the most important aspects for every reputable bookmaker. Tempobet is also well aware of that fact, and the company employs a strong SSL encryption on their servers. The certification is provided by Thawte and ensure a hundred percent protection from any malicious attempts. Getting in touch with the Turkish bookie is so easy. You can either call them by phone, send a message to their official email or simply ask your question or discuss any matter of importance in their live chat system. The customer care department is quite capable of handling complicated issues, and they will surely respond adequately to your requests. You are free to contact Tempobet’s representatives every day from 10 AM to 11 PM CET. Tempobet employs various payment options to satisfy its clients and cover most of the famous European transaction methods. All of these options are listed in the table. It’s natural for an online bookmaker of this caliber to support many different currencies and Tempobet does it and all of them are also in the table. Of course, there is transaction history where every account holder can easily review all the transfers. Almost all deposit methods are instant and easily processable. However, bank transfers can take some time. Withdraws are very limited compared to the deposit options, which the online bookie offers. 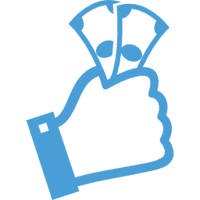 Tempobet does not offer any welcoming bonuses and promotions for their new clients. However, there are payment methods with specific bonus conditions that apply to anyone. Whenever a customer decides to use either ecoPay or AstroPay Card, he can receive 5% of the deposited amount as a playable bonus. Of course, there are some requirements to rollover the bonus and unlock it. Apart of this offer, there is a VIP program for existing players, which involve a pointing system with numerous rewards for dedicated gamblers.